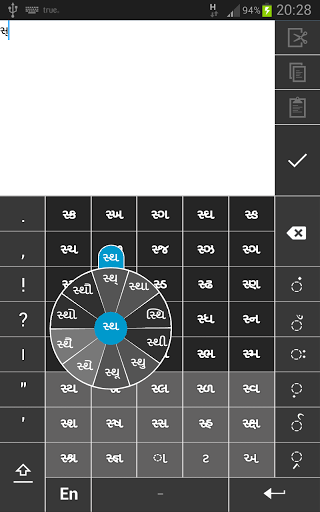 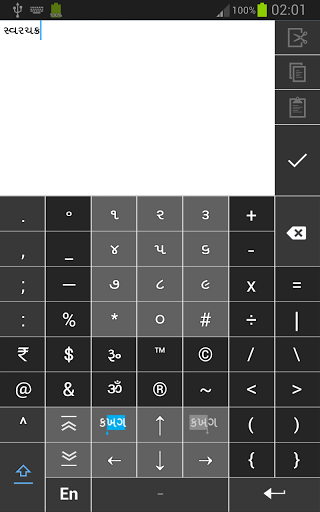 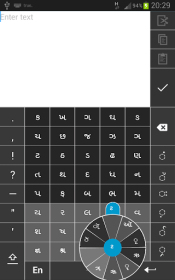 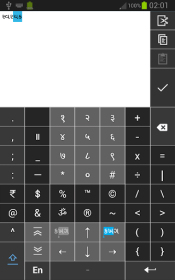 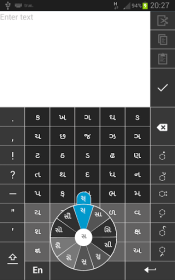 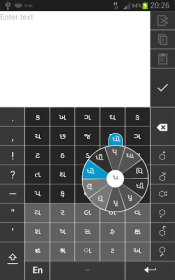 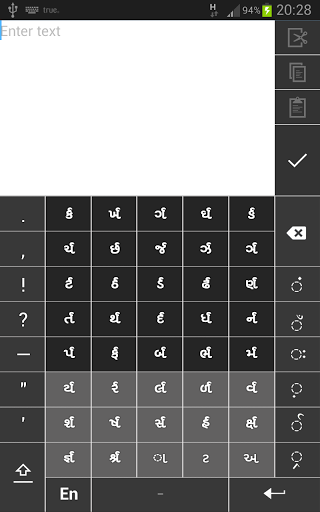 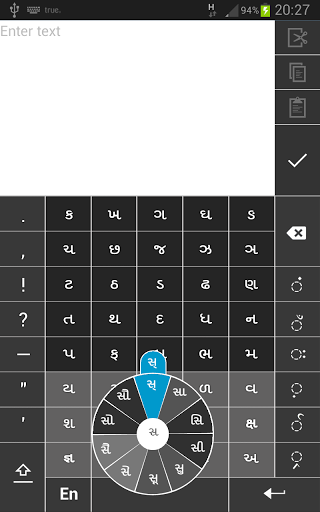 Swarachakra Gujarati (સ્વરચક્ર ગુજરાતી) is a touch-screen keyboard for inputting text in Gujarati. (For Hindi, please use Swarachakra Hindi and for Marathi please use Swarachakra Marathi). Swarachakra uses a logically ordered design based on the structure of Gujarati script.